Come along and find out more about another project from the Pendle Hill Partnership – this one is all about celebrating through song, some of the many visionary thinkers associated with Pendle Hill. 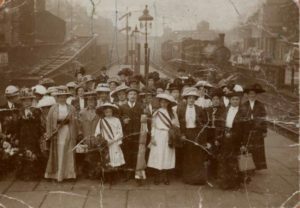 You will certainly have heard of George Fox, the founder of the Quakers, who had his inspirational vision on the top of Pendle Hill and Selina Cooper, mill worker from the age of 12 but who, as the first woman representative of the Independent Labour Party, fought for better services for women. But there are many other social reformers, free thinkers and mavericks associated with the area around Pendle Hill, and in this project, there is a desire to celebrate and remember some of them in song. 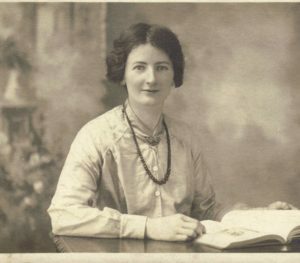 The project will be focusing specifically on Ethel Carnie Holdsworth (poet, novelist and social reformer) and Rev Thomas Arthur Leonard (founder of the Holiday Fellowship) – both of whom, in the early 1900s, fought for the rights for workers to have more time to get out into the great outdoors of Pendle Hill in order to recharge their batteries. During the course of this informative talk, you may want to tell us about others that we should be singing about! Janet Swan is a member of the Natural Voice Network – a national organisation that believes everyone can sing. 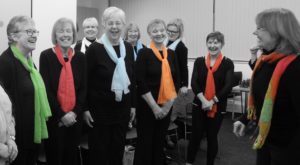 She runs a range of singing groups locally – especially for those with a range of health problems. She will be talking more generally about Lancashire songs from the Mike Harding Song book such as “Old Pendle” and about how this project came about. Do join us – singing not obligatory! (NB if you are unable to come on this date but would like to find out more about the Pendle Hill Song Fellowship, please contact Janet on 01282 414287 / 07777 686648). Janet Swan and Singing for the Soul, a group of local singers. Cost £1.50 to include refreshments.